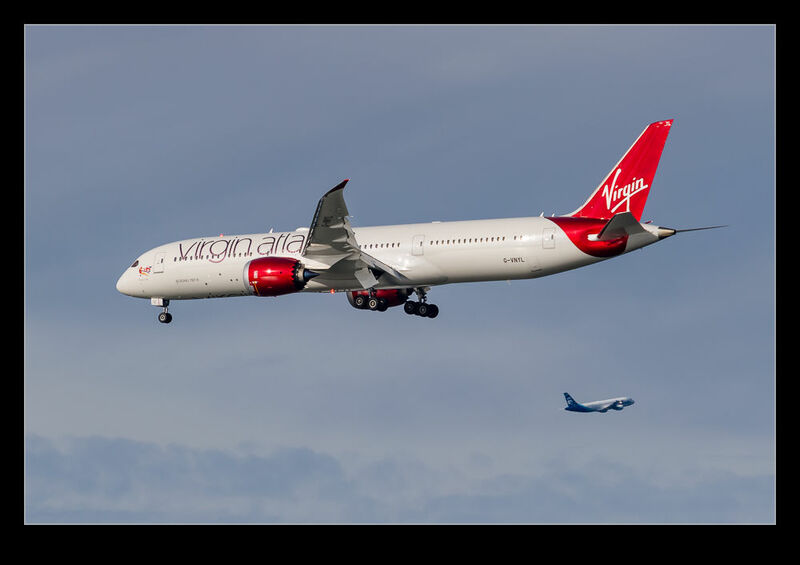 My last time shooting at SFO, I got shots of a Virgin Atlantic 787 arriving. Crossing shots are not unusual at SFO as the jets on approach will often have departing jets in the background. The Virgin jet had this. It also had a second crossing shot a little earlier on the approach. 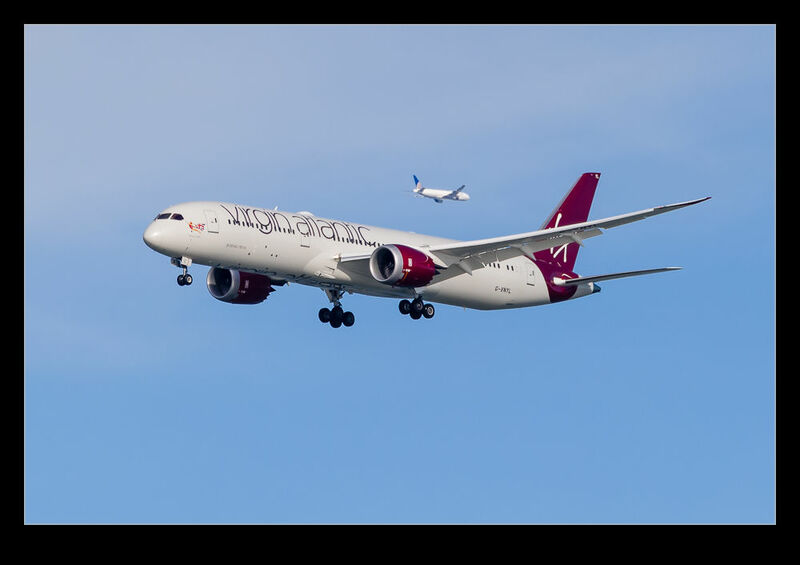 A jet heading over the bay to pick up the approach further down was directly behind the 787 just after it passed Coyote Point. This entry was posted in aircraft, Bay Area, civil, photo and tagged 787-9, aircraft, airliner, airplane, Boeing, california, civil, crossing, dreamliner, jet, KSFO, photo, san francisco, virgin Atlantic. Bookmark the permalink.